Want to collaborate with us to devise and deliver entertaining and informative participatory walkshops? Then we want to hear from you. Our core work is around getting people out and about on foot and being creative, and we can only do this with the support of artists, performers and writers, with whom we collaborate to make Walking Creative(TM) participative programmes. You can read what clients and collaborators say about us here. Do you share our philosophy about getting people out and about on foot and being creative? Read on and if this chimes with you, drop us a line and let’s see if we can co-create a ‘not to be missed’ experience on foot. Take people outside and a fresh perspective arises. The physical environment plays a role in supporting co-located creative collaborations, as does the movement of the body as we travel on foot. Immediately you step outside, it becomes less easy to control the environment through which you pass, and your brain and body immediately become receptive to multi-dimensional stimuli. Take people outside as a group, they spontaneously begin chatting, social norms in an indoor meeting, museum or gallery situation frequently fall away, and almost immediately new connections are made. Breaking old connections and creating new ones are key elements identified in creative learning (Gordon 1972). Even before we have started to walk as a group the creative learning has begun. What is clear from scientific research is that the apparently simple process of putting one foot in front of the other, stimulates many of the organs of the body, and especially the brain. This combined with breathing sustains us and helps us to think creatively (Oppezzo & Schwartz 2014). We encourage people to walk together, often in twos or threes. This alignment is non-confrontational and as each participant walks forward they tread a shared path and observe and experience common encounters. Sharing experience in this way has been shown to be a remarkably effective way of breaking down social barriers, and self-imposed norms, for example, between manager and worker (Clayton, Thomas & Smothers 2015) – whatever your background, you now have a shared experience, unfolding in front of you, as you walk together. Although many of us cover distances in different times, as we each walk consistently at two strides per second (it is the length of our stride that determines the distance we cover), when walking together we tend to walk at a similar rhythm. As we walk, we can talk – other aerobic exercise often precludes talking – we are able to walk, talk and ponder simultaneously, with our brains, nerves and muscles maintaining our balance and overcoming trip hazards on our way. As we walk participants share a journey, that contributes to a narrative: a story that can be told, shared, adapted, developed, photographed, sketched or written down. 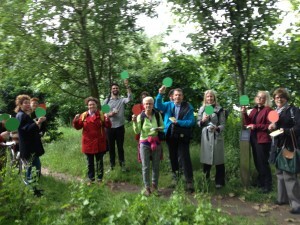 Documenting a narrative can be done as the walk is taking place or afterwards, also as part of a reflective practice. The narrative of the walk can be used as a metaphor and applied to personal and workplace problems. During a walkshop, we facilitate participants to think about and talk about ideas encouraging new ways of seeing, hearing, and being. It may be in a question we pose or an exercise we do when we stop. Each question we pose elicits a response that then directs us to experience in a new way. It is through body experience (embodiment) that we learn and grow away from our comfort zone and explore ideas differently. As we walk together and share experiences, the techniques stimulate, constrain or direct creative thinking, depending on the outcomes and objectives sought. 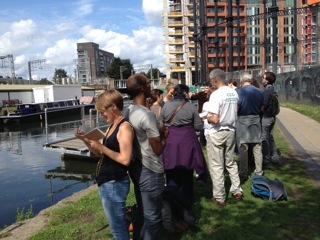 A short debrief period after a walkshop can provide the time to do group or individual feedback, creative activities like communal drawing, reflection and evaluation. Participants on walkshops have told us, how being outside, and walking (and talking) with others in an equitable situation, has led them to significant insights about themselves, the way they work and manage others, and how their behaviours impact on society. The journey narrative is a very powerful outcome of what appears to be a simple benign structure. Sharing experiences in an intimate situation (walking side by side) accelerates the building of trust, recognised as important in the workplace. 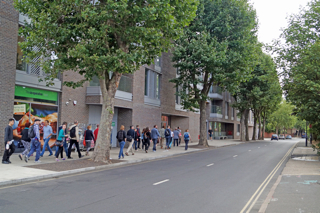 The walkshop gives permission for people to think and behave differently. It offers a means by which a broader set of learning opportunities can be explored and offered, appealing to a wider number of learners. We can use a variety of techniques to get participants to draw, sketch or write, what they observe, and to recite or share their creations with others. We distribute 2-coloured ping pong bats with which participants signal whether they believe a colleague’s contribution (see Tall Tree Stories for families, or Tree or False? for adults). We also encourage participants to write haiku – a simple structured 3-line poem made up of only 17 syllables – 5 in the first and third lines, 7 in the middle line – these can be later published in a fold your own zine. Or a participant are given simple resources to make their own learning journal or field notebook into which they insert tree leaves, write down their fibs and truths, or a narrative for the whole walk, so by the end of the walk they have their own personal field guide or journal. We encourage them to take photographs and add them to their own personal photo galleries and to a shared on-line gallery we can set up before an event. Increasingly we have been involved in working with residents and stakeholders in digital story telling, interpreting the historic environment, capturing oral reminiscences, or creating audio narratives and ambiences (e.g. Sounding out Peder Balke for the National Gallery), as well as critiquing mobile geo-located apps (often cracked up as a ‘must-have’, yet frequently ‘never-used’) (see – Expedition into the Digital Unknown). We do recognise the value and opportunities that digital connections provide, and frequently set up Tumblr micro-blogs for specific walkshops (e.g. Talking Townscape) and have used this for wider stakeholder engagement for example in our current work with City University (e.g. mobile co-design). 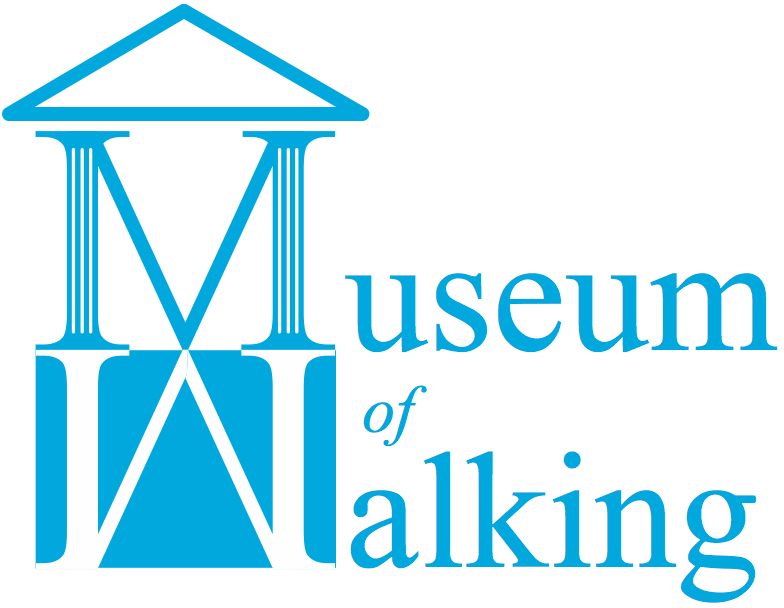 If you would like to work with us to co-create entertaining and informative participatory walkshops, that bring people back for more, then either simply e mail us at: talkingwalking [at] museumofwalking.org.uk use ‘co-create’ in the subject line; or switch to our Get in Touch page and complete the contact form there. Anne Kenrick MBE, Chair of London Cycling Campaign & Secretary-General Franco-British Council and author of Let me out! How to enjoy the school run. If you are a business, institution, NGO or organisation and you want your audiences to react in a this way, but want to know how much it costs, then please look here. walking in your sleep crying and bawling from a nightmare, as in “You were up with the ditties again last night.” from the Dictionary of Newfoundland English (University of Toronto Press, 1982).